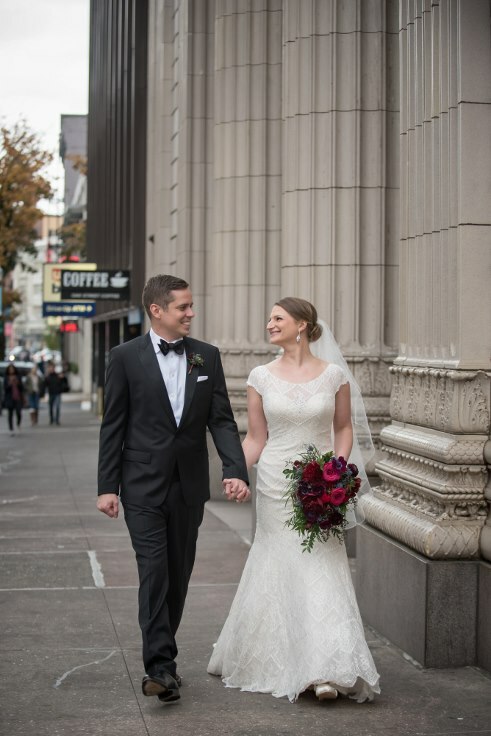 Brett and Jeff's November wedding was held at the cozy Bridgeport Brewery in Northwest Portland. With a smaller guest list there are so many venue options available to ouples in the Portland area. Being a mid November wedding, we all got lucky with the nice weather. 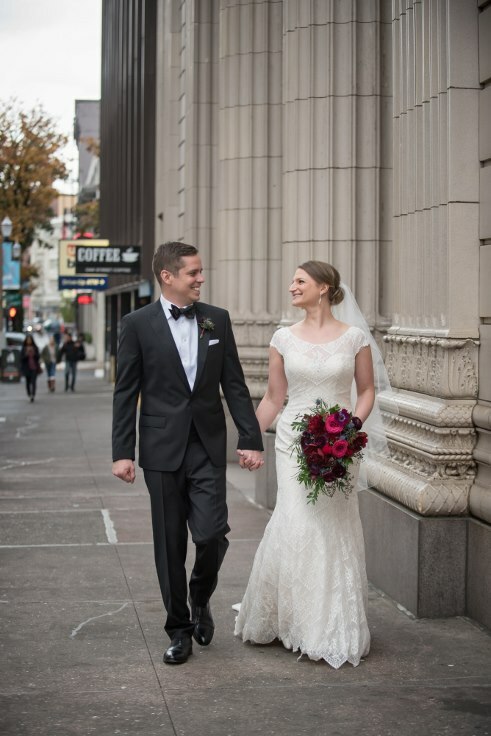 Hoddick Photography was able to capture some gorgeous images with the couple just strolling the streets of downtown Portland. Brett chose beautiful jewel tone color palette for the wedding. Burgundy, plum, navy and raspberry colored flowers made up her gorgeous bouquet. Bridal Bouquet included peonies, privet berry, eryngium, roses, ranunculus, orchids, anemone and lush foliage. I loved the classic-elegant feel with an emphasis on art deco and the 1920's. Check out the amazing cake by Lux Sucre-absolutely beautiful. Thank you Hoddick photography for capturing those beautiful images. And a few detailed images I took -below.